The VAF-New England Annual Meeting will be held on March 25, 2017 at Old Sturbridge Village in Sturbridge, Massachusetts from 8:30 a.m. to 3:30 p.m. The day’s events include the annual meeting of the VAF-NE membership, conference papers, and reports on field trips and the VAF conference. Meeting is open to members and non-members alike. The Association for Preservation Technology (APT) Building Technology Heritage Library (BTHL) reached a major milestone in September 2016 with its two millionth download. 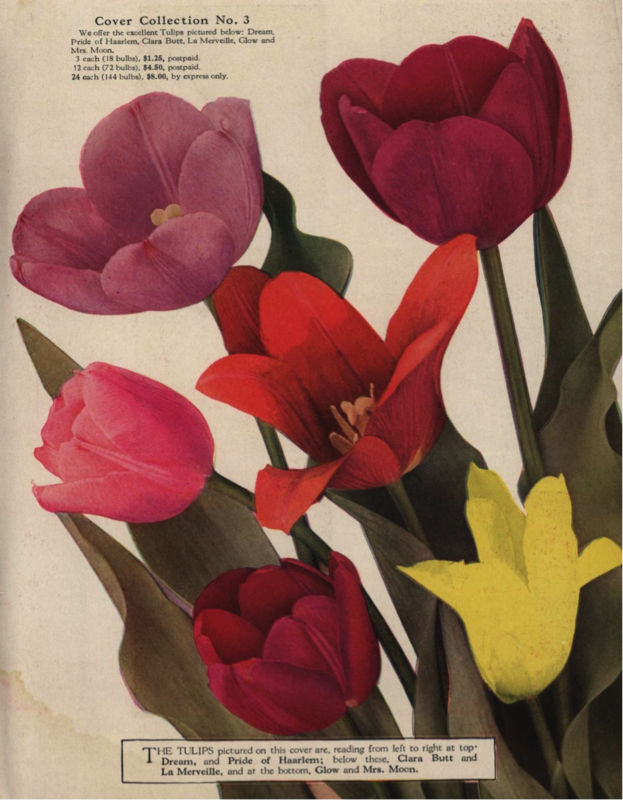 The BTHL is an online archive of vintage architectural trade catalogs and other technical literature. These items come from a variety of institutional and private collections. 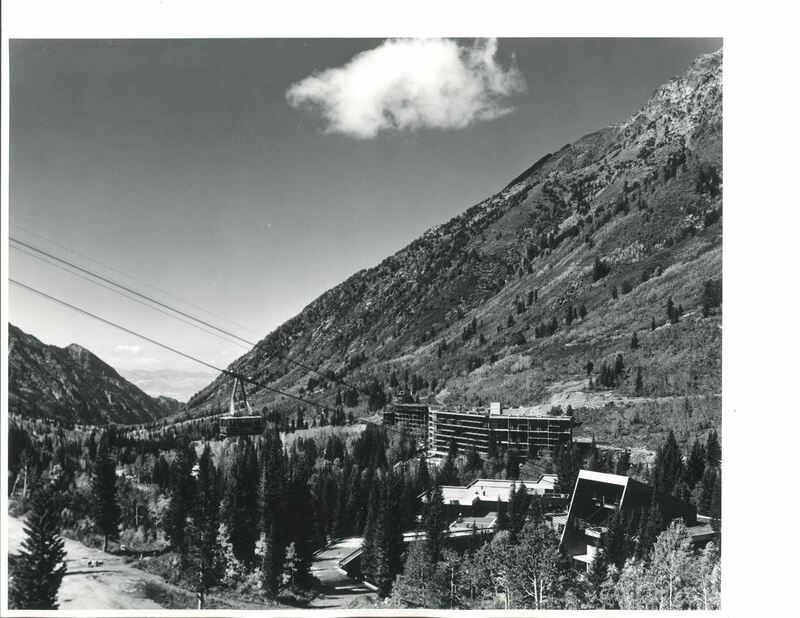 The Association for Preservation Technology created the BTHL to serve the historic preservation community with rare documents that were not readily available to the public. The BTHL is hosted by the Internet Archive. The APT initiative started with just a few dozen items on the APT web site in 2006. Since that time the collection has grown. An agreement with the Canadian Centre for Architecture in 2010 resulted in 3,000+ documents. Since that time the collections has doubled with contributions from Tulane University and several private collectors. These documents are being downloaded by thousands of are users for a variety of purposes. Preservation professionals are using these documents as part of their research into heritage buildings and their treatments. 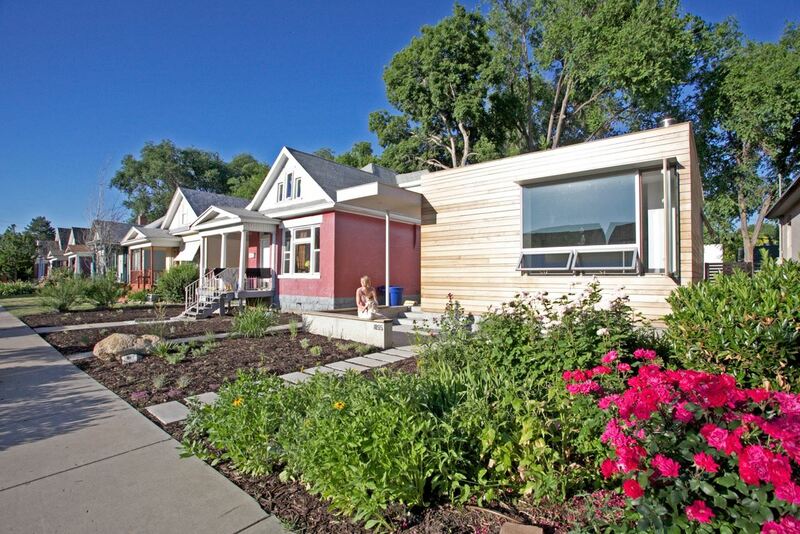 Other uses include home owners who are curious about their own structures. One early paint catalog was a key piece of evidence in a trial about a lead paint mitigation fund in California. APT welcomes users to reviews the items that they have downloaded. Mike Jackson, FAIA, the co-chair of this project said, ‘this is an exciting benchmark and shows the broad potential for these vintage documents to have a contemporary importance. The BTHL has is modern portal to the material past.” We are also grateful to the sponsors and contributors to this project including the Richard H. Driehaus Foundation, the Canadian Centre for Architecture, the Heritage Preservation Education Foundation, Tulane University, the National Center for Preservation Training and Technology and numerous private collectors. 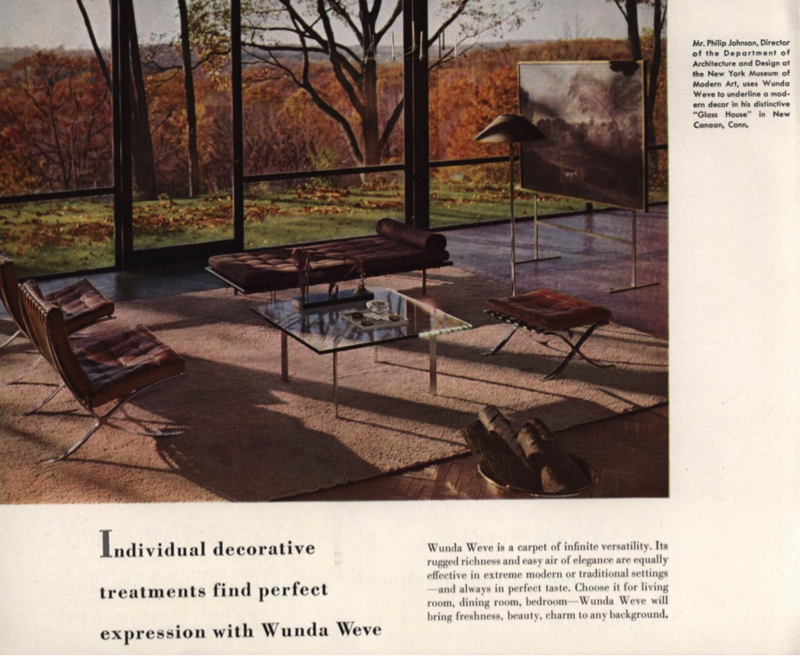 This catalog has great interiors views of homes with the company’s carpets. Many of the pictures even feature the owners sitting, usually in very traditional interiors. However, one particular home did not feature the owner, but did feature this modern icon, Philip Johnson’s Glass House in New Canaan CT.
Flooring and finishes of all kinds a well represented. 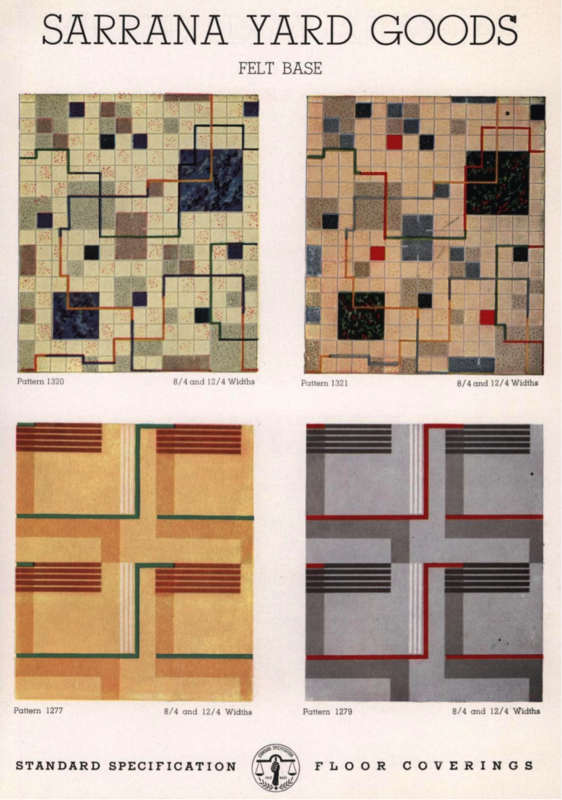 Art deco linoleum patterns where particularly popular in the 1930s. 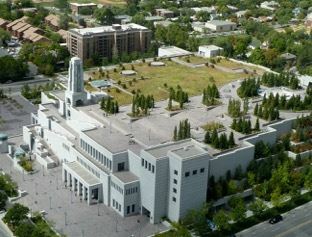 Landscaping and site materials such as fencing and paving are included in the archive. Millwork, woodwork, windows and doors are well represented in the collection. 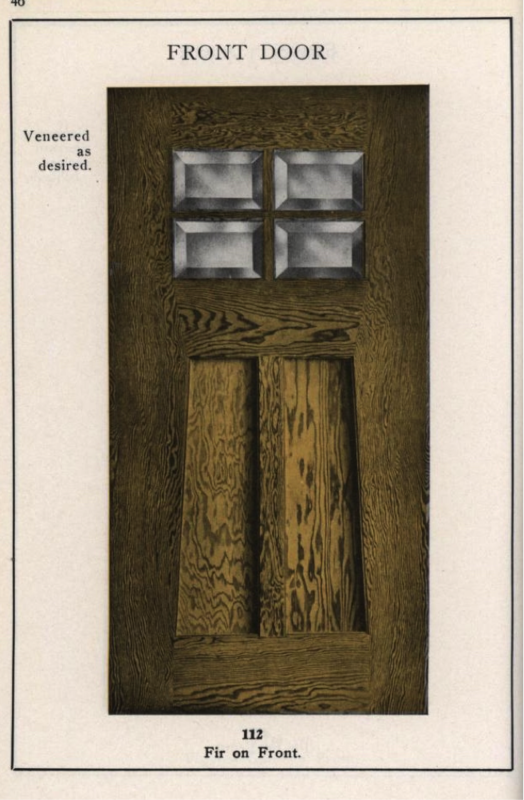 This California company featured wood doors in every possible style, from Victorian to Arts and Crafts. 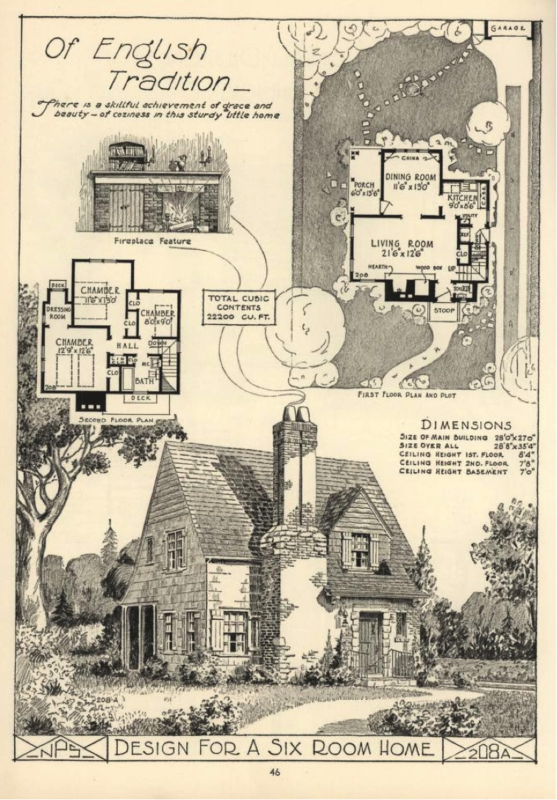 There are almost 1,000 period house plan catalogs in the collection. 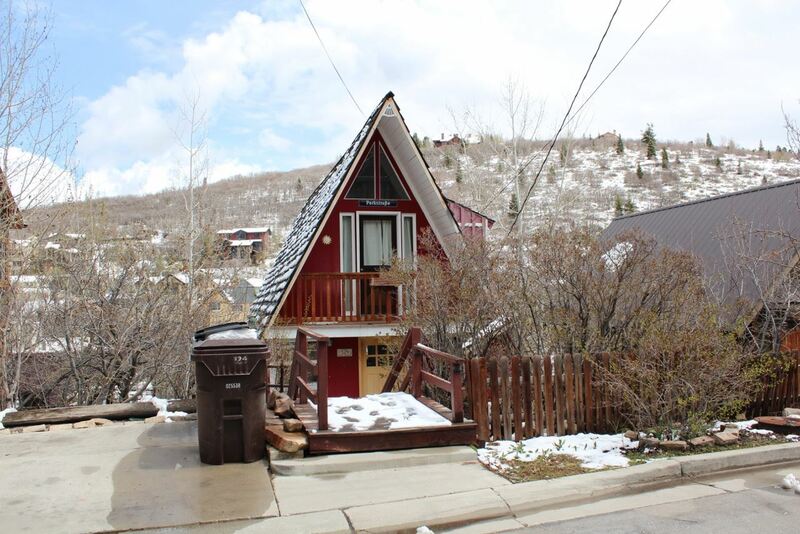 These include a few 19th century pattern books as well as many 20th century catalogs for “kit homes” such as those from Sears Roebuck & Co. or the Aladdin Company. Furniture and furnishings catalogs extend the collection into the topic of interior design. 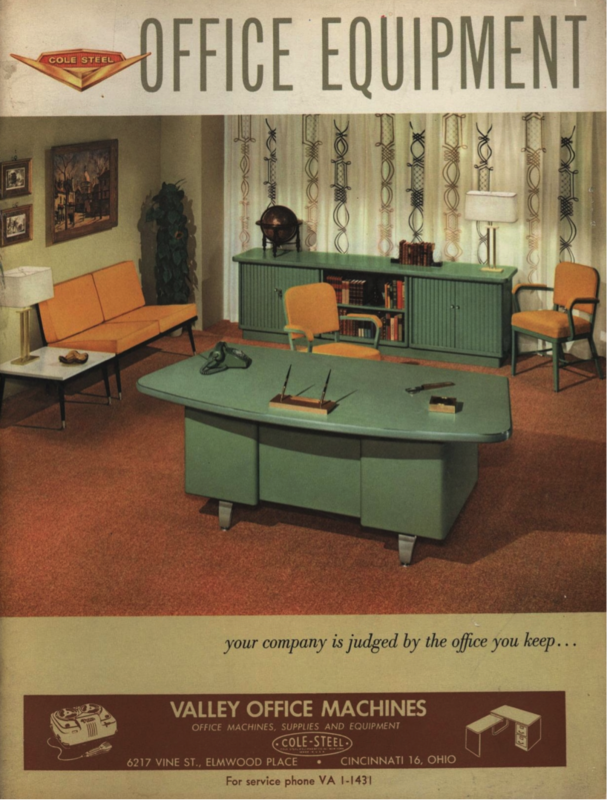 This office equipment catalogs featured everything from desks to typewriters. and political dimensions of the arts today. including those online, or underground; they may discuss any theoretical, intellectual, or aesthetic formation that figures in the world of the arts as we know them now. participants by April 22, 2017. Seminars normally meet for a single session, and papers are circulated among participants in advance of the conference. SACRPH is an interdisciplinary organization dedicated to promoting humanistic scholarship on the planning of metropolitan regions. 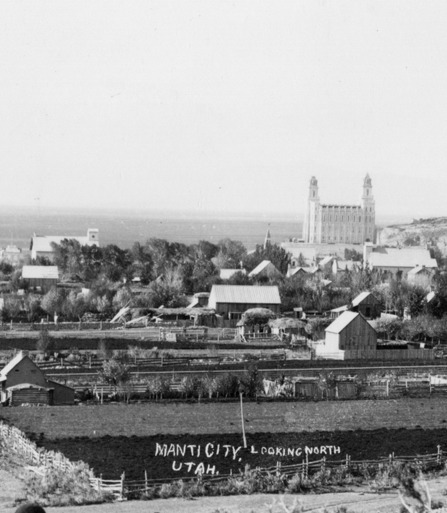 SACRPH members include historians, practicing planners, geographers, environmentalists, architects, landscape designers, public policy makers, preservationists, community organizers, students, and scholars from across the world. 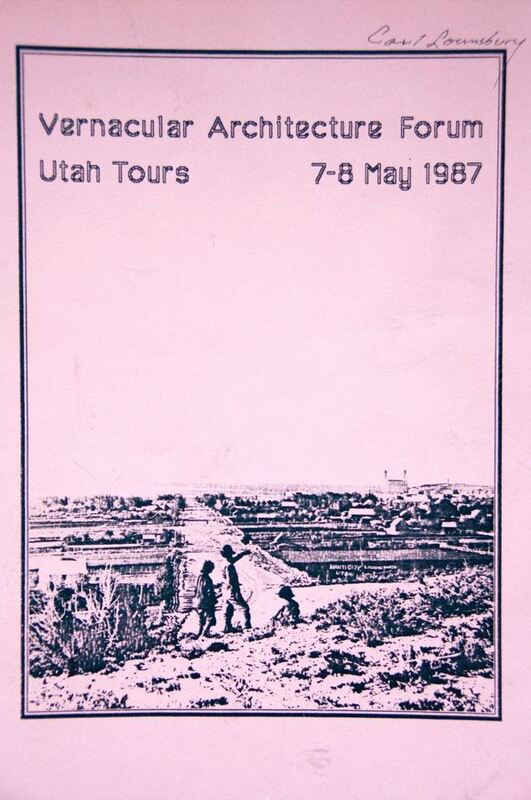 SACRPH publishes a quarterly journal, The Journal of Planning History (http://jph.sagepub.com/), hosts a biennial conference, and sponsors awards for research and publication in the field of planning history. For further information please consult our website: http://www.sacrph.org. The Program Committee welcomes proposals for complete sessions (of three or four papers) and for individual papers. We also encourage submissions that propose innovative formats and that engage questions of teaching and learning, digital information, and publishing. Proposals must be submitted by February 25, 2017 via the following link:http://www.sacrph.org. Inquiries may be directed to Program Committee co-chairs: Julian Chambliss, Professor of History, Rollins College, Florida: jchambliss@rollins.edu; or David Freund, Associate Professor of History, University of Maryland, College Park: dmfreund@umd.edu. 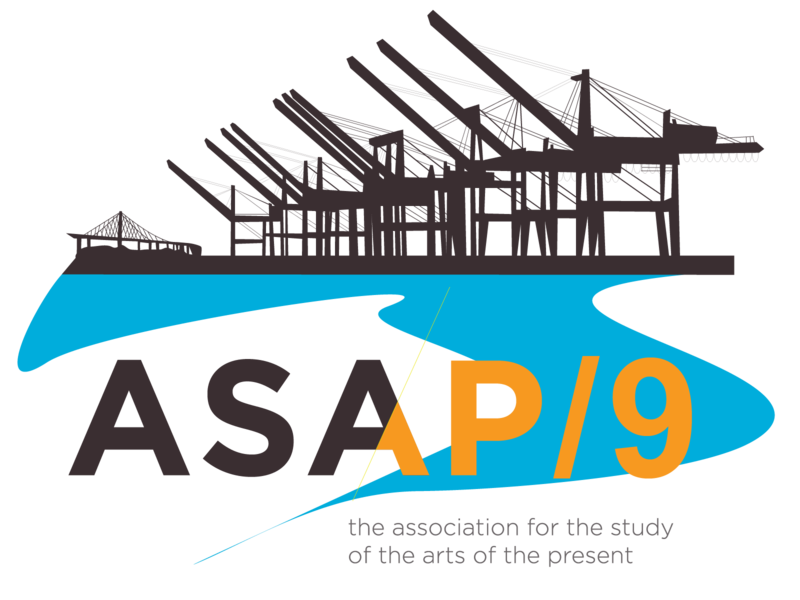 The 6th International Architectural Paint Research (APR) Conference will be held from March 15 - 17, 2017 in New York City on the historic campus of Columbia University. This conference promises to bring together many members of this vibrant, creative community that includes historic paint analysts, scholars of historic interiors, art and architecture conservators, material scientists, decorative painters, preservation architects, and heritage managers. The preliminary conference agenda is up on the website http://www.apr2017.org and there is an incredible lineup of tours being put together. The conference includes behind the scenes tours of some of New York's most unique and special sites. The tours range from an in-depth look at the conservation of Herters Brothers and Tiffany Studio rooms at the 7th Regiment Armory to a tour of the conservation of the “ruin” rooms of the Lower East Side Tenement. We also have a tour of a wallpaper manufacturing facility, the south side of Ellis Island and a look at the conservation of the Keith Haring mural in the LGBT Center. Details of these tours to be added to the website soon. History / Architectural Restoration Field School. The intensive two week program will be held from May 14 – May 27. The program provides an overview of the philosophy, process, and techniques for museum-quality architectural restoration and conservation. Students, professionals, and instructors from any background and discipline may qualify. 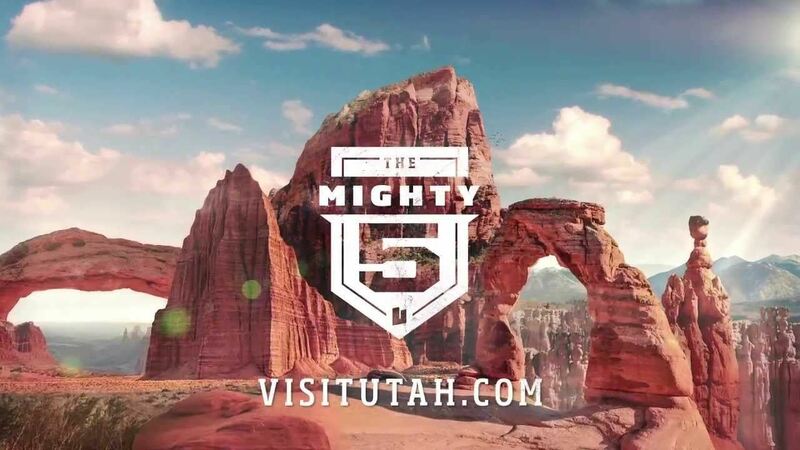 The program is limited to 10 participants each year. 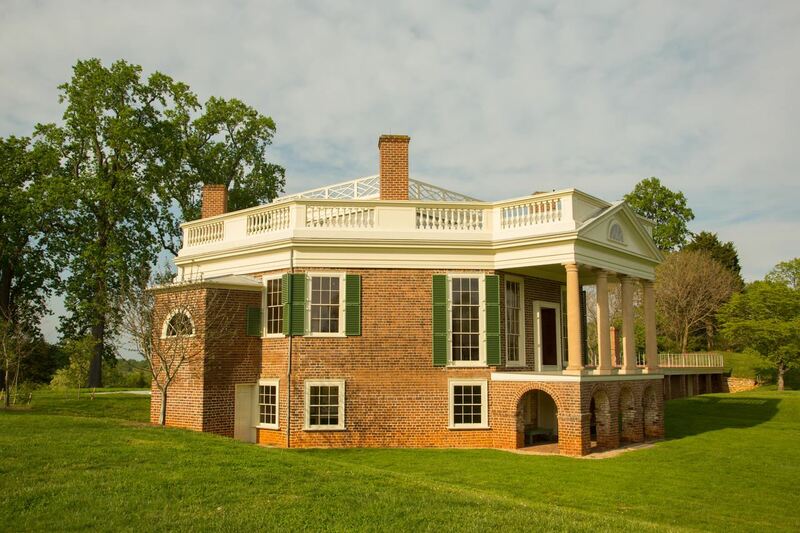 Components include: the history of Thomas Jefferson and his villa retreat; architectural investigation, documentation, and restoration techniques. Behind-the-scenes visits to other museum properties are included. A key part of the program is investigating and documenting an historic structure and producing an historic structures investigation report. This is an excellent understanding of the nexus of historic architecture, architectural history, and public history. Contact: Travis McDonald (434) 534-8123, travis@poplarforest.org. SAH Archipedia is an authoritative online encyclopedia of the built world published jointly by the Society of Architectural Historians (SAH) and the University of Virginia Press. As a tool for humanistic study, SAH Archipedia examines buildings in their communities and landscapes, not only in terms of aesthetics, but also in relation to the historical, geographical, climatic, political, religious, economic, and other forces that shaped them. With continuing support from the National Endowment of the Humanities (NEH), we seek to build a collection of teaching resources and lesson plans specifically designed for K-12 teachers that utilize the robust digital content and associated metadata of SAH Archipedia. The aim is to introduce pre-collegiate students to the history of the built environment and increase literacy through instructions and discussion, reading and writing, experiential learning, and use of innovative technology. SAH is seeking educators to produce K-12 lesson plans that align with Common Core standards and include an introduction to the subject, learning objectives, activities/assignments, assessment criteria, and resources. Interested educators should submit a proposal that includes a 500-word abstract outlining the topic of the lesson plan and include a preliminary list of the SAH Archipedia content the project would incorporate. They should also submit a 2-page CV. The SAH Archipedia Advisory Committee will review all proposals. If selected, educators will work with SAH Archipedia editors to develop the plans in accordance with publication standards. Lesson plans will be available free to the public through SAH Archipedia and will also be submitted to NEH Edsitement! Educators will receive a $1,000 honorarium for each lesson plan accepted for publication on the site. Submit proposals to Gabrielle Esperdy, Editor, SAH Archipedia, at esperdy@njit.edu, and Catherine Boland Erkkila, Project Editor, SAH Archipedia, at cerkkila@sah.org. Deadline for submissions is March 31, 2017. Please do not hesitate to contact the editors with questions.